When Can an Employee Quit and Still Sue for Wrongful Discharge? In the at-will employment context, an employee is ordinarily held to his or her decision to resign. But what if the employer, seeking to skirt liability for discharging the employee for an unlawful reason, prods and goads the employee along the path to resignation? In the 1930s, the National Labor Relations Board was faced with employers coercing resignations from employees to avoid liability under the National Labor Relations Act. In response, it created the constructive-discharge doctrine. That is, the employer did not issue the employee a discharge, but the working conditions deteriorated such that it became as if there had been a discharge. Since then, state and federal courts have recognized that employers used similar arguments when faced with liability under Title VII of the Civil Rights Act, other employment statutes, and various state torts for wrongful discharge. These courts adopted the constructive-discharge doctrine as an element of proof in place of actual discharge. In 2004, the U.S. Supreme Court, in Pennsylvania State Police v. Suders, explained that the constructive-discharge doctrine referring to “an employee’s reasonable decision to resign because of unendurable conditions is assimilated to a formal discharge for remedial purposes.” It noted that the question to be answered is: Did working conditions become so intolerable that a reasonable person in the employee’s position would have felt compelled to resign? When Are Conditions Sufficiently Intolerable? Courts look to all kinds of factors, including whether the employee was demoted; received a reduction in salary; received a reduction in job duties; was reassigned or transferred; and was badgered, harassed, or humiliated. Sometimes one factor is so egregious that it is sufficient to show that the working conditions were intolerable. Other times an employee must show a multiplicity of factors. The First Circuit, in Vieques Air Link, Inc. v. U.S. Department of Labor, found sufficient evidence for a constructive-discharge argument where an employee was transferred, requested assistance to meet new work hours without response, and made efforts to comply with new work hours. The court cited case law that “a drastic increase in commuting time and reimbursed costs” supported an employee’s decision to resign. Specifically, a pilot blew the whistle to his company and the Federal Aviation Administration. The company responded by requiring him to report at 6:00 a.m. at a new terminal on a different island from where he lived and had been reporting. The new terminal was on another island without access to any transportation allowing him to arrive prior to the reporting time, and the cost of staying overnight when the pilot was making $330 weekly salary was not economically viable. In Zabielski v. Montgomery Ward & Co., Inc., the Seventh Circuit found constructive discharge when an employee’s income was reduced from $26,000 to less than $10,000 per year and the position was set to disappear in three months. Similarly, in Neal v. Honeywell, Inc., the Seventh Circuit found a constructive discharge where a highly educated employee had her high-level duties reduced to nothing but the occasional training duty. The whittling away of duties from an employee with a Ph.D. in organizational behavior—who had previously coordinated training, resolved disputes and systemic morale problems, evaluated employee productivity, written a plant-wide newsletter, written management communications, and conducted surveys—to the occasional training duty was enough to find constructive discharge. These cases illustrate a few of the ways in which an employee’s work conditions can be made intolerable. And, of course, multiplying any of the above factors will serve to strengthen an employee’s claim for constructive discharge. For example, in Edgewood Management Corp. v. Jackson, the Maryland Court of Special Appeals determined that the fact that a 50-year employee who had never been disciplined was suddenly issued a final warning and relocated 30 miles away, along with evidence that his managers had his salary reduced and desired his resignation, was sufficient to support a showing of constructive discharge when the employee did resign as a result of the changed working conditions. When Are Conditions Not Sufficiently Intolerable? Courts have cautioned that constructive discharge is not about workplace decisions that are simply unfair. These courts, such as the First Circuit in Suarez v. Pueblo International, Inc., have warned that suffering “the ordinary slings and arrows that workers routinely encounter in a hard, cold world” is not enough, nor is dissatisfaction or the feeling of unfair criticism. There are gradients on the scale where unpleasantness does not reach the requisite intolerability. For example, in Poland v. Chertoff, the Ninth Circuit held that there was not a constructive discharge where the facts showed that even though the employee alleged poor working conditions resulting from a transfer, the employee continued working for three months after his decision to retire. The court added that subjective preferences are not enough to show intolerable working conditions, and the decision to keep working in this case showed that even that preference was not particularly strong. Similarly, in Suarez v. Pueblo International, Inc., from the First Circuit, the employee complained that his working conditions deteriorated—including that he was being pushed too hard, excluded from meetings, having staff relocated—such that there was a constructive discharge. The court stated that the fact that the employee’s salary, benefits, and job title stayed the same and his duties were appropriate to his position were significant evidence that there was not constructive discharge. In Williams v. Giant Food Inc., from the Fourth Circuit, the employee’s complaints of supervisors yelling at her, telling her she was a poor manager, chastising her in front of customers, and requiring her to work once with an injured back were not enough to prove a constructive discharge. The court categorized these complaints as dissatisfaction and unpleasantness, not intolerability. What Is an Employee to Do? An employee needing to benefit from the principle of constructive discharge is in one of two situations. Either the employee is still employed and determining whether the conditions are intolerable, or the employee has resigned his or her employment and must decide whether to base a legal claim on a constructive discharge. In both instances, it is important to highlight that the constructive-discharge theory is a substitute for proof of an adverse employment action. For example, if an employee is seeking to prove a claim of discrimination, the employee can show that there was an adverse employment action by proving a constructive discharge. In other words, there is no claim of “constructive discharge.” It is a method for proving an adverse employment action or supporting a wrongful-discharge action. This is why the Supreme Court referred to the doctrine being used for remedial purposes. If an employee is still employed, he or she should compare his or her conditions to those that courts have found sufficient to support a finding of constructive discharge. Employees should keep in mind the counsel from the Eighth Circuit Court of Appeals: “[T]o act reasonably, an employee has an obligation not to assume the worst and jump to conclusions too quickly.” Sometimes the employer will present the employee with a legitimate option for continued employment in another position. Continuing its counsel, the court said, “An employee who quits without giving his employer a reasonable chance to work out a problem has not been constructively discharged.” In short, employees should not weigh too lightly the decision to resign and should deliberate when presented with an offer of continued employment. If an employee has already resigned, he or she should undertake the same task of comparing his or her working conditions to those where the courts have found intolerable conditions supporting a finding of constructive discharge. If the conditions were not intolerable, he or she will need to look closely at the statute or tort related to the adverse employment action. Inability to prove constructive discharge is not the death knell to all employment actions; instead, it translates to a reduction of potential remedies. Where a constructive discharge can lead to a full recovery of back pay, an employee will likely only be able to prove an adverse employment action under a retaliation statute (because that standard is lower than discrimination or wrongful-discharge claims). Employers should keep a pulse on their managers to ensure that working conditions are not deteriorating to the point of intolerability for any of their employees. If they are not wary, they are inviting claims, if not liability. 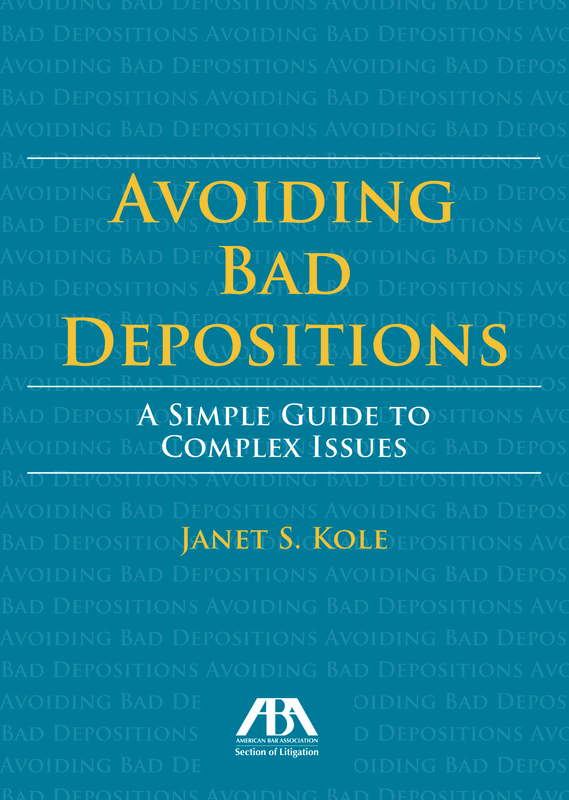 In today’s legal landscape, there are numerous statutes and torts at an employee’s disposal. And those employees who resign because they believe conditions have become unendurable are the likeliest to bring a lawsuit against the employer. Employers should also conduct exit interviews of resigning employees to gauge any such intolerability. The constructive-discharge doctrine has been a boon to employees, helping to keep employers honest. But it is not a panacea. Employees and employers alike should be prepared to examine whether working conditions truly have become intolerable or unendurable. R. Scott Oswald is the managing principal and Nicholas Woodfield is a principal of The Employment Law Group, PC, in Washington, D.C.